Each set consist of a bag and 4 discs: 1 Driver, 1 Fairway, 1 Midrange and 1 putter. Colors and weights will vary. From Anonymous of Placentia, California on 5/1/2018 . 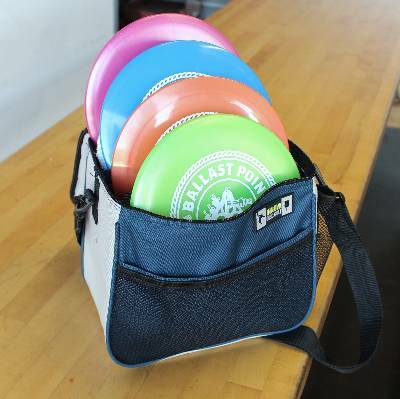 Make sure you get 1 of each disc: driver, mid-range, fairway, and putter. I initially got 3 drivers plus 1 putter. Ballast Point fixed it for me. Thanks BP!